Norway has built a reputation as one of the calmest and most predictable corners of the global oil industry, but lately it’s been full of surprises. During the worst downturn in a generation, from 2014 to 2016, companies would regularly exceed official forecasts as oil production rose in defiance of falling prices. More recently, with crude surging back to multiyear highs, they’ve run into trouble. The Norwegian Petroleum Directorate now expects output to fall to a 31-year low in 2019, with production expected to be almost 60 million barrels short of its previous forecast for this year and in 2018. That’s 80,000 barrels a day less than expected. One of the most frequently cited reasons for oil production missing forecasts in the NPD’s monthly updates through 2018 was maintenance shutdowns. Back in 2016, when output surpassed forecasts by 6 percent, oil companies cut maintenance outages. They insisted back then that the reductions were due to efficiency gains and weren’t creating a backlog. “Maybe they’ve stretched it too far in terms of avoiding maintenance,” said Simon Sjothun, an analyst at consulting firm Rystad Energy AS. “It works in the first couple of years,” but it’s a “very realistic hypothesis” that they’re now picking up the slack, he said. Technical challenges on platforms or under the seabed, and delayed output last year will also impact 2019, the NPD’s Director General Bente Nyland said in an interview. Wintershall AG’s Maria is one example of a field that hasn’t performed as expected, while Equinor ASA’s Gina Krog, which also started up in 2017, is “probably on the list,” Nyland said. The NPD declined to provide more details on individual fields before a broad resource update in February or March. Alv Bjorn Solheim, a vice president at Wintershall’s Norway unit, confirmed Maria had produced less than planned, but declined to say how much. Equinor declined to comment on Gina Krog. 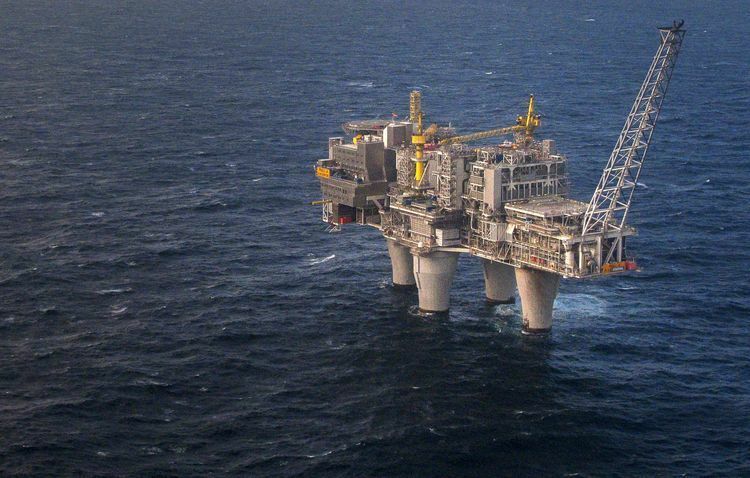 Postponed startups include Equinor’s Oseberg Vestflanken, which came online in October last year instead of a planned startup in the second quarter. After taking over the Martin Linge project from Total SA, Equinor also pushed back startup to the beginning of 2020. Both authorities and companies might have been too optimistic in their assumptions about reserves and production rates for certain fields, said Nyland. She declined to mention any examples, but the NPD recently said that Spirit Energy Ltd had cut the oil-reserves estimate for its Oda field, due to start producing by March, by about 30 percent to 33 million barrels. Pressured to improve profitability after crude prices fell in 2014, oil companies turned over every stone to cut costs and pick solutions that raised the resource count for their projects. That could have led some to take an excessively optimistic view on how many barrels they would be able to squeeze out, said Sjothun. Oda is also a typical example of smaller developments, which make up an increasing part of the project pipeline in Norway as the North Sea becomes a more mature oil basin and exploration in the Arctic Barents Sea continues to disappoint. The trouble with small fields is that the operator often has less data about the reservoir under the seabed, because a project of a smaller size doesn’t warrant drilling numerous wells, Nyland said. To be sure, the abrupt slump in Norway’s oil production is temporary. The Nordic country will enjoy a spectacular bump in oil production in 2020 thanks to Equinor’s Johan Sverdrup field, which is scheduled to start production in November this year. With as much as 3.2 billion barrels in oil reserves and production of as much as 440,000 barrels a day in its first phase, the giant North Sea field should in 2020 contribute to the biggest year-on-year increase in Norway’s output since the 1980s.